Three men have been sent to prison for more than 18 years for their part in assaulting a man in St Leonards. Louis Birch, Michael Anderson and John Saunders have all been sent to prison for GBH with intent after leaving the victim with a broken eye socket and a broken jaw. Police said late on July 31 last year a 37-year-old man was found in Blackman Avenue, near to a convenience store, by passers-by. The man had serious facial injuries and it was established he had been attacked and then dragged along the road. Witnesses also said they saw the victim’s head being stamped on. Police said the victim suffered a fractured eye socket and a broken jaw bone and was taken to the Conquest Hospital. Michael Anderson, 37, a property manager of Harley Shute Road, St Leonards pleaded guilty on January 19 at Brighton Crown Court while John Saunders, 38, a scaffolder of McKillop Way, Sidcup and Louis Birch, 54, unemployed of Hollington Old Lane, St Leonards pleaded guilty at Brighton Crown Court on April 22. 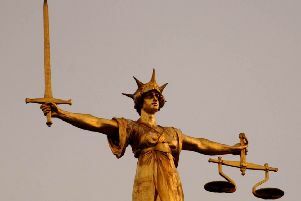 They all appeared again at Brighton Magistrates’ Court on Tuesday, April 24 and were sentenced. Police said Anderson received eight years, Saunders five years six months, and Birch five years. Detective Constable Chloe Barden said: “This was a vicious and sustained attack on a man where the victim’s head was repeatedly stamped on.